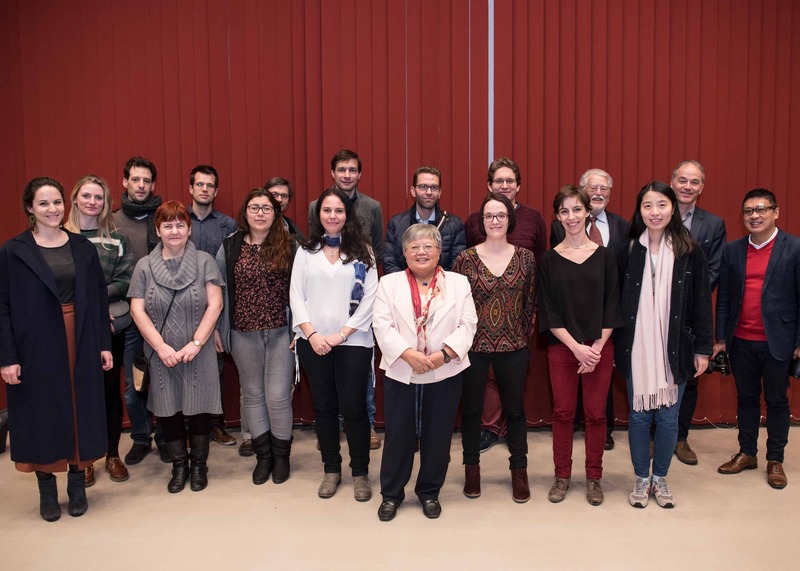 The Unit for Research in Schizophrenia (URS) was established in 1999 at the Centre for Psychiatric Neuroscience (CNP) (Department of Psychiatry, Lausanne University Hospital), with the support of the Faculty of Medicine and other local health authorities. 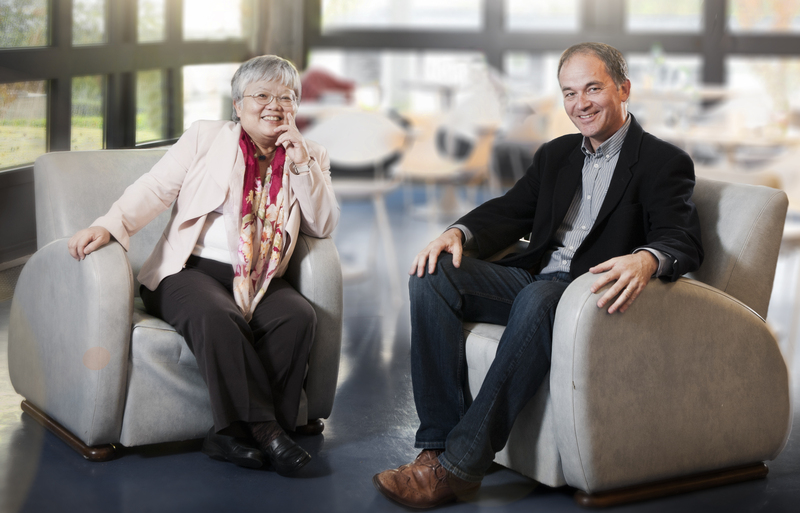 It is headed by Prof. Kim Do Cuénod (left on the photo), who is also Director of the CNP; Prof. Michel Cuénod (medical doctor and neurobiologist, former Head of the Brain Research Institute of the University of Zurich and Chair of the Alamaya Foundation) collaborates with the URS as scientific adviser and on a voluntary basis. Its location on the site of the psychiatric hospital of Cery allows close collaboration with clinicians of the Service of General Psychiatry, headed by Prof. Philippe Conus (right on the photo). Given the complex issues at stake, the URS team consists of specialists in neuroscience (neurobiology, biochemistry, molecular genetics, physiology, etc.) and professionals in direct contact with patients (psychiatrists, psychologists, radiologists specialized in brain imaging, etc.). This collaboration is crucial to achieve significant progress, and facilitates the important participation of patients in the research process. The activities of the URS are focused on identifying neurobiological factors of vulnerability, which are likely to further the risk of being affected by schizophrenia. Its main objective is directed at a better understanding of the causes and mechanisms leading to schizophrenia in order to be able to make an early diagnosis of the disease, develop new treatments and ultimately preventive measures. The same objective applies to the fields of autism and bipolar disorders, which are being included in the URS research programme since it was discovered that the three diseases have certain mechanisms in common. 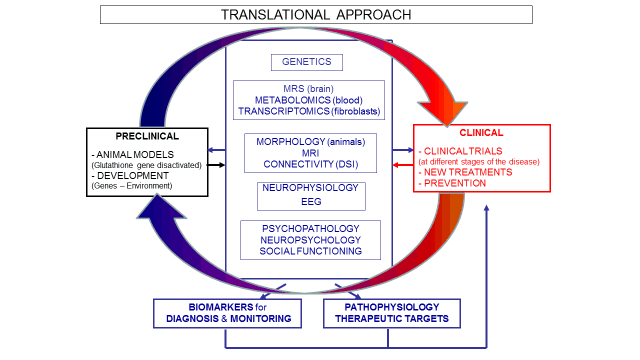 This objective is founded on a hypothesis formulated in 1993 by Prof. Kim Do Cuénod and Prof. Michel Cuénod , according to which patients suffering from schizophrenia show a significant factor of vulnerability: a genetic abnormality causing the deficiency of a substance called glutathione, an antioxidant essential to the elimination of toxic elements in the human body. Insufficient glutathione is likely to hinder the contacts between nerve cells and cause the dysfunction of certain neurons. This hypothesis has since been confirmed; it is presently widely acknowledged by the international scientific community. The URS has developed a translational program, which implies a constant interaction between clinical research (patients) and basic research (cell cultures, mice). This approach, which is common in somatic medicine (i.e. heart, lungs, kidneys, etc. ), is relatively new in psychiatry. These different fields of research require the collaboration of various specialists, thus justifying amultidisciplinary working group. The team of the URS includes several young and brilliant doctoral and post-doctoral students with a promising scientific career, two laboratory technicians and two psychologists. Funds raised by the Alamaya Foundation largely contribute to finance their salaries, and thus not only help to advance a pioneering research program but also to further a high level academic community. Several clinician scientists of the Department of Psychiatry also participate in the studies of the URS. The URS develops its activities in the context of an extensive network of collaboration, which includes various university institutes and other research centres in Switzerland and abroad (see Collaboration).